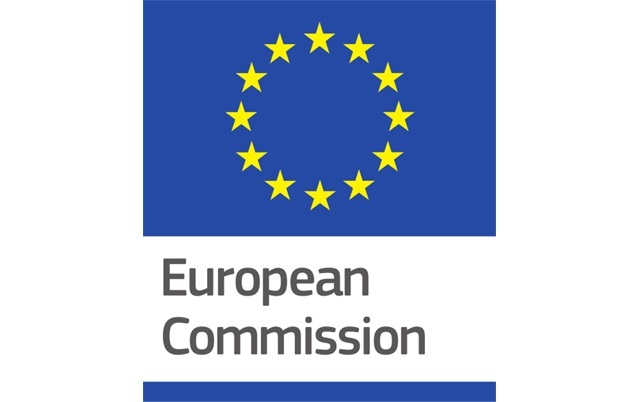 Six months after the anti-terrorism package of October 2017, the Commission is proposing measures to: bolster the security of identity cards and reduce document fraud; provide law enforcement and judicial authorities with access to electronic evidence and financial information; further restrict terrorists’ access to explosives precursors; and strengthen controls on the import and export of firearms. Better protecting European citizens is a collective top priority agreed in the Joint Declaration on the EU legislative priorities for 2018-2019. The set of measures are also included in the Joint Declaration and will further expedite the on-going efforts at EU level to improve internal security and close down identified loopholes. The proposals should be adopted by both co-legislators as a matter of urgency to further enhance the security of EU citizens. Why does access to financial data need improving? Criminals and terrorists operate across Member States and are able to transfer funds between different bank accounts in a matter of hours to prepare their acts or launder the proceeds of crime. The number of cross-border cases involving the need for access to financial information is also increasingly growing. With the current mechanisms, access to and exchange of financial information is too slow compared to the pace at which funds can be transferred across Europe and globally. The information obtained is often incomplete and comes too late. In some Member States, it can take weeks or months to receive the necessary information. Currently, the authorities responsible for the prevention, detection, investigation or prosecution of criminal offences often do not have direct access to this information. This lack of access to financial information during criminal investigations may jeopardise their ability to investigate serious crimes, disrupt criminal activities, foil terrorist plots, or detect and freeze the proceeds of crime. It is imperative that law enforcement authorities have access to the most crucial pieces of financial information as quickly as possible to complete their investigations and crack down on the financing of terrorism and serious crime. An increased number of successful criminal investigations will result in an increased number of convictions and asset confiscations. This will contribute to the disruption of criminal activities and enhance security across the EU. How does the proposal fit into the current EU framework to fight money laundering and terrorist financing? The European Union has already taken several steps to combat money laundering and terrorist financing under the Commission Action Plan on strengthening the fight against terrorist financing presented on 2 February 2016 – this proposal is yet another deliverable. The Fourth and the soon-to-be-adopted Fifth Anti-money Laundering Directives establish centralised bank account registries (containing information on all bank accounts in a given country) or data retrieval systems in all Member States to which Financial Intelligence Units (FIUs) and anti-money laundering authorities have access. Under these provisions, FIUs have the powers to collect and analyse financial, administrative and law enforcement information, and to cooperate with each other. However, the Anti-Money Laundering Directives focus primarily on preventive efforts to address money laundering, not on how financial information can be used for the prevention, detection, investigation or prosecution of criminal offences. At the moment, law enforcement authorities can obtain only limited financial information from FIUs – and only when it is necessary for preventing and combatting money laundering and terrorist financing. In addition, FIUs and competent authorities continue to face obstacles when interacting. The proposal on improved cross-border access by law enforcement authorities to financial information complements and reinforces this existing framework. How does this proposal facilitate access to necessary financial information by law enforcement authorities? Provide for a more comprehensive framework for cooperation between Financial Intelligence Units (FIUs) and between FIUs and competent authorities. Define the type of information (financial information, financial analysis, law enforcement information) that can be requested by competent authorities and FIUs respectively, as well as provide an exhaustive list of criminal offences for which each authority can exchange information on a case-by-case basis for a specific case under investigation. Provide deadlines to exchange information and require the use of a secure channel of communication so as to improve and speed up the exchanges. Who is authorised to directly access the financial information? Under the current provisions of the Fourth Anti-Money Laundering Directive, the access to national centralised bank account registries is granted to Financial Intelligence Units (FIUs) and the anti-money laundering authorities. The authorities responsible for prevention, detection, investigation or prosecution of criminal offences do not have direct access to this information. This means that to carry out their investigations, those authorities need to send out a request to all banks in a Member State. Such processes can be very slow and burdensome for both the authorities and the banks while information provided is often incomplete. As a result, it can cause undue delays in criminal investigations, often leading to dead ends. The proposal obliges Member States to designate the competent authorities, who will be able to access and search the national registry in their country, in addition to FIUs and the anti-money laundering authorities. The relevant authorities can include the police, the prosecution offices, the tax authorities and anti-corruption authorities (to the extent that they investigate criminal offences), the Europol National Units and the Asset Recovery Offices. Within each authority, access to the national centralised bank account registry will only be granted to persons specifically designated and authorised to query the registry. The competent authorities will have access to limited information which is strictly necessary to identify in which banks the subject of an investigation holds bank accounts. This information includes the owner’s name and date of birth, and the bank account number. The authorities will not be able to access the content of the bank accounts – neither the balance of the accounts, nor details on the transactions. Once the authorities identify the financial institution, in most cases they will have to approach the respective institution and request further information, e.g. a list of transactions. How does the proposal improve cooperation between Financial Intelligence Units and law enforcement? It is a requirement that all Member States provide their Financial Intelligence Units (FIUs) with access to law enforcement information that is necessary for them to carry out their tasks. Consultations with the FIUs showed however that they sometimes experience difficulties in obtaining such information, and that the types of law enforcement information that they had access to varied substantially from Member State to Member State. The proposal therefore seeks to remove those obstacles by obliging law enforcement authorities to respond to requests for information from FIUs. It defines what type of information (financial information, financial analysis, law enforcement information) can be requested by competent authorities and FIUs respectively, as well as an exhaustive list of criminal offences for which each authority can exchange information on a case-by-case basis. The proposal provides deadlines within which to exchange the information (no more than three days after the receipt of a request and 24h in urgent and exceptional cases) and requires the use of a secure channel of communication to improve and speed up the exchanges. Finally, it requires Member States to indicate all the competent authorities entitled to request information. What is the role of Europol? Europol does not conduct criminal investigations, but supports actions by Member States. With no access to financial information, including that contained in the national centralised bank account registries and data retrieval systems, Europol is prevented from exploiting the full potential of its analytical capabilities. Under the new measures, Europol will have indirect access to bank account registries through Europol National Units. Member States will be obliged to ensure that their Europol National Units and Financial Intelligence Units (FIUs) reply to those requests. Requests made by Europol will have to be justified and made on a case-by-case basis, within the limits of Europol’s responsibilities. How will the right to privacy and the right to the protection of personal data be ensured? The proposal maintains a high level of protection of fundamental rights, in particular the right to the protection of personal data. It ensures that only limited information is made available to law enforcement officers. The data that can be accessed and searched will be confined to the narrow subset needed to identify the bank(s) in which a person of interest holds accounts, including the name, date of birth and account number(s). Exchanges of information will be also limited to a case-by-case basis and only where relevant to a specific case for the purpose of combating specified, serious criminal offences. Time limits after which personal data must be deleted from these registries or its retention justified. The access to, and processing of, this data is allowed but only to the extent that it is necessary. The person of interest must be informed that their personal data can be accessed and, if appropriate, the reasons for which access is granted. It should be clear that they have a right to lodge a complaint. The person of concern has a right of access, and rectification or erasure if the data is inaccurate. Technical and organisational measures must be in place in order to ensure an appropriate level of data security. The proposed measures also provide for other safeguards such as an obligation on Member States to define those authorities and persons who will be allowed to search these systems, the need for access logs, and the rights of Europol in terms of assisting the Member States. Why do the existing rules on explosives precursors need to be improved? In 2013, the EU put in place rules to restrict access to explosives precursors that could be used to make “home-made explosives”. These rules require that any suspicious transaction involving these explosive precursors is reported to the relevant authorities. While these restrictions and controls have helped to decrease the amount of precursors available to the general public, and have led to an increase in reports of suspicious transactions, they have proven to be insufficient to satisfactorily prevent the misuse of these substances. The security threat has been constantly evolving with terrorists using new tactics, and developing new recipes and bomb-making techniques. There are, for instance, reports of terrorists and criminals attempting to buy chemicals in Member States with more lenient restrictions, or online, where the rules are not always correctly applied. In many attacks in recent years, home-made explosives were used by terrorists and criminals. 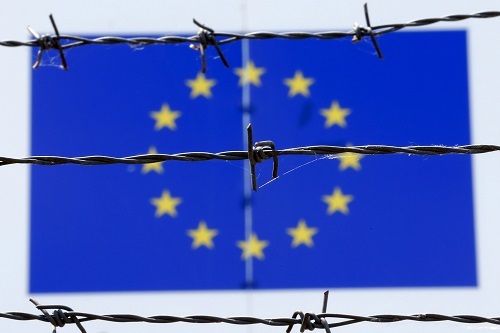 The increased terrorist threat in the EU and the danger posed by home-made explosives require stricter and more uniform rules that would help to close the gaps and deprive potential terrorists of the means to carry out their heinous crimes. How will the new measures improve the rules on explosive precursors? Expanding the scope of the restricted substances by adding two new precursors to the list, with a possibility to add more at a later date, and do so more swiftly. Sulphuric acid, a central ingredient for the production of the explosive TATP, and ammonium nitrate, a chemical otherwise used as a fertiliser, are added to the list of restricted substances. Farmers will retain access to ammonium nitrate for agricultural activities. Clarifying that online operators and sales are equally covered by the restricted rules and obligations of the Regulation. Restricting access to the general public who will now only be able to obtain certain restricted precursors with a licence. The conditions for granting licences are also tightened and will include careful security screening and a criminal record check. The existing registration regime will be discontinued. This regime is weak in terms of security as a person only needs to show an ID in order to buy a restricted explosive precursor. Quicker and better information sharing. In particular, it is compulsory to conduct checks upon sale, and alert the next actor in the supply chain that a product is subject to EU restrictions. In the case of a suspicious transaction, economic operators will be obliged to report the responsible authorities within 24 hours. The proposed measures also require that inspections are carried out, training is provided and awareness-raising actions are organised. Will professional users such as farmers still be able to obtain the substances they need for their work? Yes. The new measures make a clear distinction between “professional user”, to which restricted explosives precursors can be made available, and “a member of the general public”, which will not be able to access those substances, unless a special license is granted. Whether a person is a “professional user” depends on the purpose for which he/she purchases explosives precursors and if it is connected to their specific trade, craft or profession. The new provisions clarify that farmers, who were not covered by the definition of “professional users” previously, can acquire, introduce, possess and use restricted substances, for agricultural purposes. Collect on an annual basis (by 1 July each year) statistics on the number of authorisations and refusals, and the quantities and values of firearms exports and imports, by origin or destination. Why did the Commission recommend stronger controls on imports and exports of firearms? International trafficking of firearms is a major concern for the security of European citizens. Without appropriate tracking measures, firearms can be diverted away from the legal market. In 2017, the Commission carried out an evaluation of the implementation of Regulation (258/2012) on the export and import of firearms, their parts and ammunition. According to the findings of the evaluation report, although progress has been made towards achieving the objectives of Regulation, it nevertheless suffers from a lack of precision. The report noted some of the key shortcomings which could be overcome if Member States took immediate steps. Improving national practices on tracing firearms and the exchange of information, as well as the proper application of Regulation by all Member States, will allow for the control of legal firearms as they enter and leave the Union to be made more efficient. It will also contribute to public security and enhance overall safety of the general public.